The imageRUNNER ADVANCE C2200 Series delivers effcient workflow in a small footprint to help workgroups, branch offces, and small businesses work faster and smarter. Business processes are seamlessly integrated, and a streamlined user experience enables high performance and productivity. From every point of view, these models are simply advanced. An exceptionally intuitive, simple-to-use interface puts access to all functions right at your fingertips, whether at the device or at your desktop. Work better together—your teams will have the ability to access and leverage the capabilities of other connected imageRUNNER ADVANCE devices on your network. Even on the go, you’re in control. Print from a laptop, tablet, or smartphone to an imageRUNNER ADVANCE system. 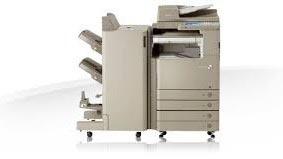 A touch of a button on the user interface lets you access, scan to, or print directly from, certain cloud applications. Multilayered solutions safeguard confidential information and, with certain options, support security compliance.